Domestic and international adoption can cost thousands of dollars, but grants, tax credits and fundraising can offset costs. Each year, U.S. citizens adopt over 100,000 children, according to the Child Welfare Information Gateway. Costs can range from very little for adopting a child from foster care to $40,000 or more for a private domestic adoption, says Nicole Witt, executive director of The Adoption Consultancy in Florida. Here’s a look at strategies that adoptive families use to cover costs. Adoption tax credit. 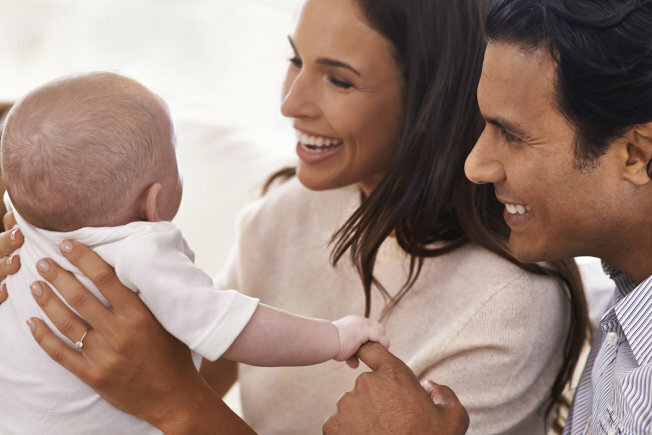 For 2014, the IRS gives adoptive parents a maximum adoption tax credit (to offset qualified adoption expenses such as legal fees and travel costs) of $13,190 per child, which phases out for modified adjusted gross incomes between $197,880 and $237,880. “If you adopt twins, then you can claim double the tax credit,” Witt says. “Or even if you have a [domestic adoption] situation that falls through, you can claim it towards the expenses that you’ve lost.” The credit cannot exceed your tax liability, but you can carry any excess credits into the following year. Consult your tax preparer if you’re unsure of how this applies to you. Adoption grants. Jeremy Resmer and his wife raised over $47,000 so they can adopt twin girls from Congo debt-free, and about two-thirds of that money came from grants. (The Congolese government has put all adoptions on hold, so Resmer, his wife and their 3-year-old son are currently living in the Congo bonding with the girls and waiting for the adoption to finalize.) The pair did exhaustive research on adoption grants, and Resmer wrote and published an e-book called “Fund Your Adoption: A Step-By-Step Guide To Adopt Debt-Free.” “We had to look in a million different places to find all the grants,” he says. “Certain organizations … will only grant to you if you’re Christian or married, and sometimes income eligibility requirements will come in. Some organizations will only provide grants for domestic adoptions.” Because the application process can be time-intensive (collecting letters of recommendation or meeting with a pastor, for instance), the couple applied for 10 grants that they felt they most closely fit the award criteria, and also looked at grants with the highest award ranges. They were awarded six of them. Not everyone will qualify for grants because some are income-based. However, a growing number of employers now offer adoption assistance. In fact, a 2012 Aon Hewitt survey of 1,000 major U.S. employers found that over half offered this benefit, compared to 12 percent in 1990. Fingerman says these benefits can range between $2,000 and $10,000 depending on the employer. Loans. Sometimes people take a short-term loan to cover adoption costs and use their tax return (with the adoption tax credit) to repay the loan. “There are adoption loans out there, but I always tell my clients just because a loan has the word ‘adoption’ in front of it doesn’t mean it has most favorable terms,” Witt says. “Explore a general loan, home equity loan and see what the best terms are.” Not everyone has home equity they can borrow from, but Witt says having a line of credit ready to cover adoption expenses can be smart (so long as you’re realistic about what you can afford). “You don’t know exactly how much you’re going to need and when you’re going to need it,” she explains. Some people also get a gift or interest-free loan from parents who want to be grandparents. “People sometimes have to travel to other parts of the country where the birth mother lives, so families have given them frequent flier miles or points to the Marriott,” Fingerman says. Fundraising. Many people saving up for adoption take on a second job or plan fundraising events – Resmer did both. Friends, family and members of a religious community have long been a source of financial help for adoptive families, but online crowdfunding for adoption costs puts a 21st century twist on this tradition, which Witt says can be controversial. “On the one hand, it can be great because people love to help,” she says. On the other hand, some parents worry contributors could “say something inappropriate in front of the child about how they helped pay for them,” she says. Witt has seen other families sell adoption T-shirts to friends and family members or temporarily rent out the room intended as a nursery for extra cash. Resmer’s family raised several thousand dollars through an adoption carnival hosted by a local church. “They had dunk tanks, carnival rides, all sorts of food and a bake sale,” he says. They also solicited donations from local businesses and held a silent auction at the carnival. Posted in News and tagged Afford Adoption, domestic adoption, Tax Credit. SEO Consultant with Google Certification and Over 15 Years of Online Marketing Experience.